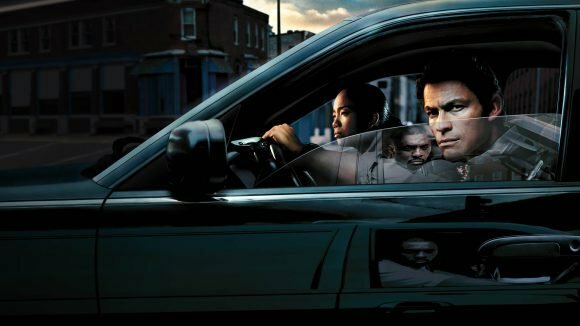 Sky will screen The Wire in HD for the first time when the ground-breaking police drama returns next month on the Sky Box Sets beat. The original 4:3 series was remastered in HD for a stunning Blu-ray release a couple of years ago and is one of several HBO series that first screened in SD that have been redelivered to Sky in HD. Another outstanding crime drama from the same era, The Shield, also has been remastered in HD and looks amazing on TVNZ OnDemand compared to the SD version on Amazon Prime Video. It will scrub up even better for its December 18 US Blu-ray release. Thanks to a new patented process, the entire series has undergone a 4K transfer and restoration from the 16mm film elements preserving the intentional grit and raw texture that’s unique to this series. Other SBS highlights include two of the earliest comedy series to screen on SoHo, How to Make It in America and Eastbound & Down. How to Make It in America S1 & S2. Certainly a bit of irony in TVNZ promoting The Shield OnDemand, a show it treated dreadfully during its broadcast run in the 2000s. I recall seasons arriving a couple of years late and I think it was airing after midnight by the end. I guess everything gets a second life in the SVOD era though. Great show, as is The Wire (another Midnight Special). Another odd thing is The Almighty Johnsons getting a new lease of life on the platform later this month. I forgot about The Wire, I hope it makes its way to on-demand as well. On a side note, is their any chance Philip of TVNZ experimenting with 24/7 news streaming for 1News Now like they have in the US with CBSN, ABC News Live and NBC News Signal? Surely this would be more cost effective than launching a 24/7 news channel on Freeview plus it would be a great addition to TVNZ OnDemand.